Pearl earrings are a great way to make a statement of elegance and class. And, as opposed to what many women think, they not only for those who love classic looks. You can buy fashion earrings that feature pearls as well. In fact, in Ana Luisa’s designer earrings collections, you will discover a great variety of pearl earrings, ranging from classic to freeform and unique pieces. Read further to find out more about our top picks for pearl earrings by Ana Luisa and what styles are best for you. One of the many reasons women love natural pearls is their unique mirror-like luster. Natural pearls are delicate, feminine and absolutely delicious. And if you think pearls are not your type, wait until you see our unique creations. If you love your hoops and have a creative, fun and adventurous style, these pearl hoops are for you. We have reinvented both the classic hoops and the pearl earrings and have designed this piece especially for women like you. You can wear them with one of the many chokers or collar we know you have, as well as with your stacked bangles and cocktail rings. Who said you couldn’t get creative when wearing pearls? And speaking of creativity, if you are always trying to achieve an elegant look with a contemporary twist, these freeform pearl drop earrings are exactly your style. Dipped in 14k gold and featuring baroque pearls, these earrings are great to match with your statement cuffs, beaded necklaces, and bezel rings. 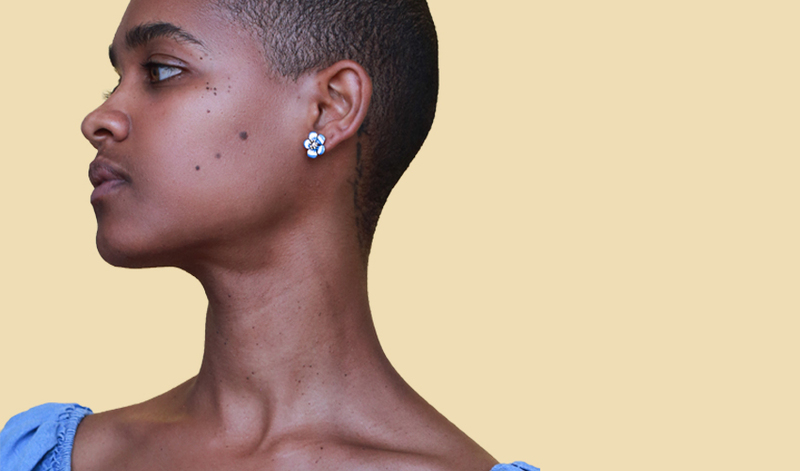 Just wear your hair up in a relaxed bun to let your pearl earrings grab all the attention. We know you are already in love with them, so go ahead and get your limited-edition unique pair. If you are the artistic, nature-loving bohemian type, then these pearl earrings are what you are looking for. When designing them we have thought of women like you, who love the boho-chic style and to have bright colors in their lives. Besides the center pearl, these earrings feature a hand-painted enamel layer with a vibrant blue color that goes great with your turquoise beads, gemstone charm bracelets, and stacked rings. Delicate, artistic and fabulous, these hand-painted pearl earrings are great for women who want to live la vie en rose. Just like the Iris blue flower studs, these earrings will go great with your boho-chic colorful style. Wear them with your friendship bracelets or nature-inspired pendant necklaces and match them with your lovely colorful flowy dresses. 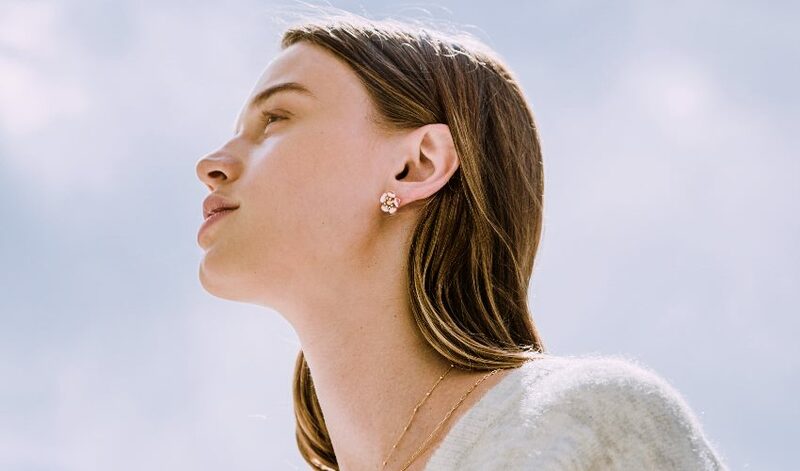 We know you can’t resist having a tiny piece of art hanging from your ear, so visit our online jewelry boutique to get them. Crystal pearls have a unique elegance and feature a flawless silky pearl coating. They enhance the look and are great to wear every day. Delicate, smooth and versatile, these earrings will soon become your favorite jewelry piece. You are going to love wearing these pearl studs if you are the kind of women who know that elegance is in the subtle details. You also love delicate pendants and thin bangles which you sometimes accessorize with solitaire rings. If this is the case with you, then the Cyrena small pearl studs will make your day as soon as you open your parcel from Ana Luisa. The difference between these earrings and the Cyrena small studs in their size. These large pearl studs are for women who love a classic look and enjoy jewelry pieces like princess-length necklaces and cuff bracelets. Even though larger in size, these pearl earrings are also quite versatile. If you want a pair of earrings you can just put on without having to spend a lot of time thinking about your outfit, the Cyrena large pearl studs are for you. Made of high-quality sterling silver and with a dainty sparkling look, the Diana pearl earrings are great for women who want to add a little bit of sparkle to their look. You love your crystal chokers and cluster rings and you like to draw attention to your flawless look. 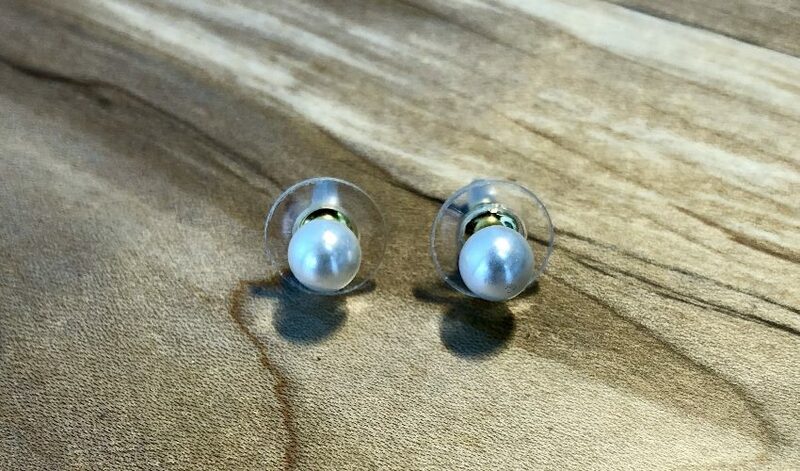 In this case, we recommend getting this pair of lovely silver pearl studs that will offer you the sparkle you need, while lose leaving space for a statement necklace. As you can see, we have designed pearl earrings that fit the particular styles of very different women. This is because we believe that each woman should be able to wear pearl earrings because they are the very definition of femininity. If you want to see more of our lovely designer jewelry collections, visit Ana Luisa online jewelry shop.